The proximity to abu dhabi and nearby entertainment and theme parks will the help hospitality and travel and tourism industries in Dubai South, where the Expo 2020 will take place, to sustain growth in the period after Expo 2020 Dubai, industry executives said on Sunday. They believe that hospitality and tourism projects in Dubai South will continue to do good business in the post-Expo 2020 period. Bastien Blanc, vice-president for operations at InterContinental Hotels Group (IHG), pointed out that Dubai is really a dynamic city and reinvents itself. "Definitely, the industry will be addressing different segments in the pre- and post-2020 period. Dubai is strong in creating areas that address specific needs. So whatever the areas will be dedicated for after Expo 2020, the level of business in Dubai South will remain strong," Blanc said. IHG says it plans to open two properties near the Expo 2020 Dubai site. According to official estimates, around 25 million tourists are expected to throng Dubai for Expo 2020, resulting in the public and private sectors rushing to complete their tourism and hospitality projects. Speaking on the sidelines of ATM 2018, Blanc explained that since Abu Dhabi is close to Dubai South, this proximity will help tourists and visitors to stay in that areas for quick shuttling between the two emirates. "Area around Expo 2020 is a very nice place for people to live. 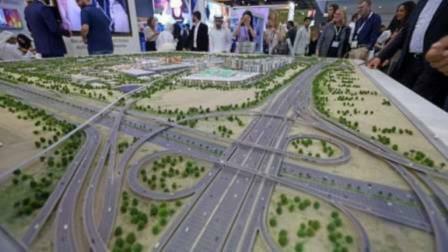 Tourists travelling between the two emirates will be able to stay in hotels around Dubai World Central. Plus, they will have very close access to entertainment parks. I think it gives a lot of potential to this area to develop further," Blanc added. Laurent A. Voivenel, senior vice-president of operations and development for the Middle East, Africa and India at Swiss-Belhotel International, stated that Expo 2020 has given a great boost for development of tourism infrastructure and attractions in the emirate which will serve as a new foundation for growth of tourism. "The legacy of Expo 2020 will expand well beyond the event. The Expo is just one stop along the way. The infrastructure and attractions being developed for Expo 2020 will serve as a new foundation for Dubai tourism," Voivenel said. "We are in an era of shared economy collaboration, quality and consumer value. This change requires a new strategic approach from hoteliers - one that enables hotels to understand market trends and build the internal capabilities needed to succeed in a new environment. The more we tailor our products to offer local experiences and value for money the better conversion we can expect. There is need to build on experiential travel and hospitality," he added. Samir Hamadeh, general manager of Alpha Destination Management, said in order to support Dubai's goal to attract 20 million visitors annually by 2020 and maintain a stable momentum of growth in terms of repeat visitors, there is need for new packages and offers with added-value to entice transit passengers to stay for least one night rather than simply pass by. "The more the destination creates attractions and tailors its products to cater to diverse tourists [families, honeymooners, millennials], the better conversion it can expect. The growth that Dubai has been consistently achieving in terms of tourism makes us confident that it will continue to perform exceedingly well beyond Dubai 2020. We believe, all players in the industry need to co-ordinate together to promote the emirate - be it tourism authorities, airlines, hotels or others," he added.